Argentina (1963) 10th Latin American Congress of Neurology. 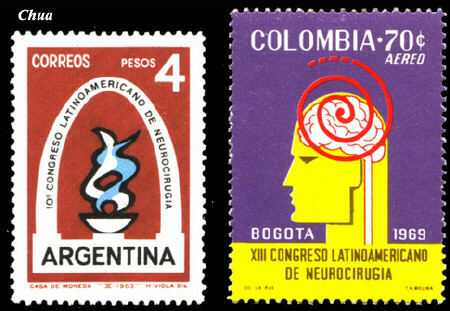 Colombia (1969) 13th Latin American Congress of Neurology. and Terson's syndrome in subarachnoid haemorrhage to name but a few.